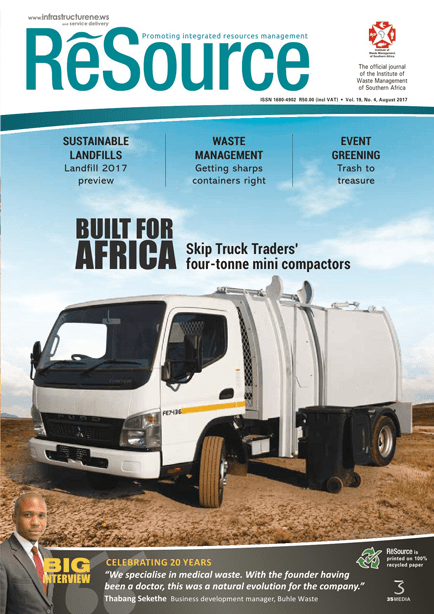 The official magazine of the Institute of Waste Management of Southern Africa (IWMSA) and is endorsed by 12 industry associations. ReSource is only integrated resources and waste management magazine in southern Africa. Owing to the organisations with which it is affiliated, the magazine has access to up-to- date news and unique information regarding its industry.